Why should our family choose Clearwater? 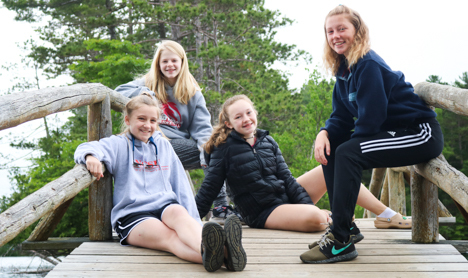 Clearwater Camp is dedicated to all our campers, providing a summer experience packed with challenge, learning and fun. 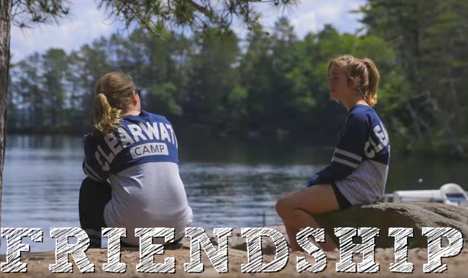 Activities are important, trips are important, campfires are important, singing is important — but above all at Clearwater, camp is about fostering confidence, courage, compassion and community – four points on Clearwater’s compass – in each girl and young woman that experiences a summer here. Who are members of the Clearwater community? Our campers are kind, engaged, adventurous, inclusive and full of life. They come from all over the country and around the world. Check out our map of where our 2018 campers traveled from! Each camper brings her own unique talents and personality that adds to the richness of cabin life and our community as a whole. With our Memorial Day Work Weekend and Family Camp, we offer opportunities for your family to join our fun and friendly Clearwater family! How does my daughter sign up for activities? Campers fill out a Preference Form before coming to camp, and our Program Director develops a personalized schedule. We also have “free activities” several times each week when campers choose from among additional activities. Extended horseback riding and extended water skiing available for an extra charge. See our Activities section to read about our activities. Where will my daughter live at camp? Clearwater’s cabins are intentionally rustic, providing girls with a wonderful sense of living simply in nature. Our small cabin groups are unique; four to six campers live in each cabin with a counselor. Youngest campers live on the mainland in the Harbor unit, slightly older girls live on the lower end of the island in Cape unit, and our oldest campers live on the upper end of the island in the Point unit..
Can I communicate with my daughter while she’s at Clearwater? We believe in correspondence the old-fashioned way – with letters and cards! Camp is a wonderful opportunity to begin written correspondence with your daughter. Campers love to receive mail at camp. You are welcome to send care packages; please do not send food items. On Sunday evenings, campers present the Director with a letter home as their “ticket” into the meal. We want to make sure parents know about all the fun campers are having at Clearwater! How can we help our daughter prepare for her first camp experience? Here are some great tips from the American Camp Association and Part 1 and Part 2 Summer Camp Prep Tips from Dr. Chris Thurber, noted clinical psychologist and camp expert. We grow our own staff! 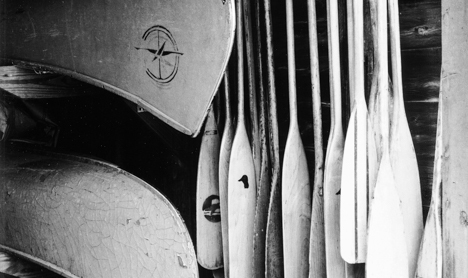 The majority of counselors were campers themselves, and often were Leaderships (counselors-in-training). All of our counselors have completed at least one year of college and hail from alma maters ranging from the University of Illinois to Harvard University. See our Staff section to read more. What if my daughter is a vegetarian or has a food allergy? Vegetarian options are provided at every meal. If your daughter has specific allergy needs, our professional kitchen staff does a great job of providing alternate menu items. Please note any specific needs on the online Health History form. Are cell phones, computers, iPods or other electronics allowed at camp? Camp is a place to connect with people in real and meaningful ways and to enjoy nature’s beauty and unique sounds. We do not allow cell phones, computers, iPods or other electronic devices. Campers may bring electronics for travel to and from camp. All electronics are collected upon arrival and returned to the camper at the end of camp. Use this complete packing list. Camp Tuition includes weekly laundry service. Does Clearwater have a religious affiliation? Clearwater is a nondenominational camp and we welcome campers from all religious affiliations. Each Sunday, campers present a quiet, reflective program at Sunday Service, held on a beautiful wooded hillside overlooking Tomahawk Lake. For Catholic families, staff members take campers to Sunday mass at the local parish. We’d be happy to answer any questions you have! Please reach out to us or feel free to call us anytime at 715-356-5030.